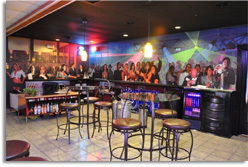 Are you looking for bartending courses in Maryland near the Baltimore, D.C, Dundalk, & Columbia area? Within just two weeks Maryland Bartending Academy can teach you how to be a successful bartender. We provide hands-on training and experienced instructors for all of our students. The Maryland Higher Education Commission has approved our bartending academy. Our school is an accredited member of the Better Business Bureau with an A+ rating. If you would like to know how our bartending school could get you more money, a job or a better social life then read on. This article explains the benefits of a bartender's course and how bartending can be useful tool in making a new source of income. What do Bartending Classes Teach? Maryland Bartending Academy strives to teach bartending courses in the Maryland area to promote a fun and new source of income or entertainment to its students. Here are a few things that you will learn from our bartending course. If you would like to see what bartending courses in Maryland entail than come to our FREE introductory class and get an idea of what being a mixologist is all about. The most commonly ordered drinks and cocktails will be explained in depth with correct measurements & hands on experience. Some of these more commonly known cocktails are. For some free basic bartending terms of knowledge click here. A flair class is available as well to teach the art of spinning, flipping, and throwing bar tools and bottles while making cocktails. How Can I Get a Job From A Bartenders Course? If you are thinking about bartending as a profession or job then our bartending courses in Maryland are perfect for you. Bartending is a trade that is used almost everywhere locally and nationwide! Learning how to bartend can be a great source of income to anyone searching for a new job or hobby. Maryland Bartending Academy is a professional school that will get you certified and working as a bartender within merely two weeks. Our school offers flexible hours and scheduling for night or day classes Monday through Friday. We also offer a 5-week session of Saturday classes for those students who have a current workweek already. Other bartending classes for existing bartenders are available such as our alcohol awareness training class that gives you more detailed information about bartending laws and regulations.